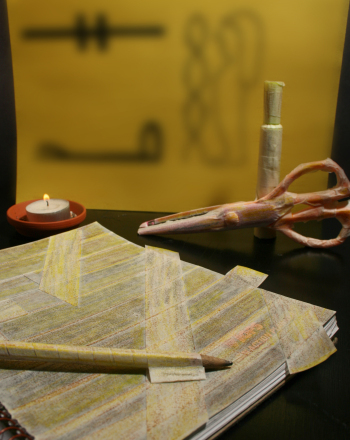 Kick off the spookiest time of the year with an art project inspired by the ancient Egyptian process of mummification. Easy enough to do between homework assignments or even on the road, masking tape mummification is the perfect Halloween activity. Just don't be surprised if unusual items in your house suddenly get mummified! 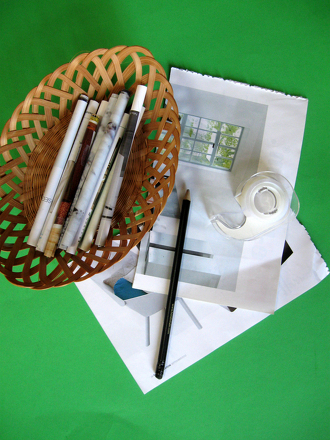 Have your child rip strips of masking tape, placing one end of each strip along the table edge. Make sure he rips of strips of varying lengths. Some should be as wide as his notebook, and other should be no more than an inch or two long. Let him place one long masking tape strip horizontally on his notebook. If the strip is a bit too long for the notebook, just have him rip or cut the excess part off. Have him continue until the entire notebook is covered with horizontal strips. Help him slightly overlap each strip against the last one. Help him lay two or three strips at diagonal angles across the horizontal strips. These strips do not need to be as wide as the entire notebook. Let him extend at least one long strip off of the notebook to look like a piece of wrapping that has come undone. Help him fold the sticky part of this undone wrapping shut so it won't stick to anything. Have your child use his yellow, gray and brown crayons to lightly shade and colour in small sections of the masking tape. Don't let him overdue it! Tell him that these bits of colour will make the tape, or "mummy wrappings", look weathered and old. Now have your child repeat this same process with his pencil case, pencils and scissors. What else can your child mummify? As long as he has a roll of masking tape, he can be the grand pharaoh of mummification! This colorful worksheet features subject pronouns for kids who can use colorful visuals to remember and practise their vocabulary. Looking for fish coloring pages for kids? Add colour to this under the sea scene! This worksheet gives a brief definition and a list of pronouns for kids. Match each noun to the pronoun that replaces it in a sentence. These kids are lucky enough to catch a glimpse of Santa himself! 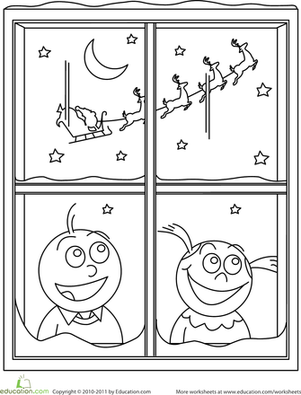 Give this exciting scene some colour as you get ready for Christmas day. Kids can colour in the picture, and practise this yoga pose along with him. Kids can colour in the picture, and practise this yoga pose along with her.